Singer and songwriter of Risky Summerbee & the Honeythief, and artist of the collective Teater Garasi - Garasi Performance Institute. Co-founder of LARAS- Studies of Music in Society. 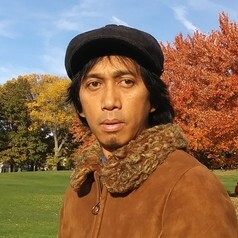 He is currently a PhD student of Ethnomusicology at University of Pittsburgh, with interests including popular music, indie music, politics, performance studies and sound studies.